The ProVia Aeris window is available in 3 different models that include the WX100, VT700 and the VT800. The Aeris WX100 series uses a real wood interior with an exterior vinyl cladding and can be ordered in an oak, cherry or maple wood. In addition, the WX100 window is available in over 30 interior stain and/or color options, as well as 5 exterior color choices. The Aeris is also available as a vinyl interior/exterior option with the VT700 and VT800 models. The VT700 is the lower end model and comes standard with a block and tackle balancing system, a sloped sill, aluminum reinforced sash, multilock system and a fusion welded frame and sash. In general, this is a well made vinyl window unit. The upgraded Aeris VT800 window includes the same features as the VT700 model, along several additional color options and an upgraded cove sash profile. The VT800 model will typically run $50 to $75 more per window for the additional features and color options. Consumers can expect to pay $55 to $65 per sq ft for the ProVia Aeris window itself and $50 to $150 for installation per opening. Consumers can compare the ProVia Aeris to either Marvin Integrity Ultex windows costs or to Affinity window prices. The ProVia Aeris WX100 wood clad window in the double hung should generate performance numbers of roughly .28 U-value, .26 SHGC, .47 VT and an Air Infiltration of .10. These are generally good numbers, although that AI of .10 is a touch higher than I'd like to see. The Aeris VT824 Casement window, with low-e glass, argon fills and grids, will generate performance numbers of .27 U-Factor, .26 SHGC, and .45 VT. The ProVia Aeris window warranty includes a lifetime provision on workmanship and materials of the vinyl frame to the original owner. 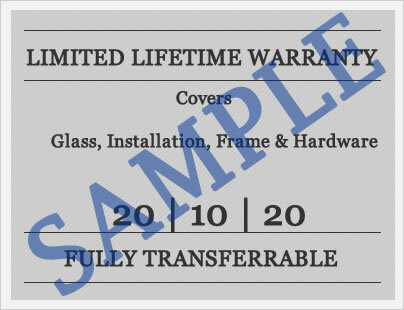 This lifetime warranty also applies to all of the hardware on the windows, the insulated glass units, glass breakage (from manufacturing defects), and the exterior screens. The warranty is transferrable to 1 subsequent owner and requires them to register the warranty transfer and also requires them to pay a one time $50 fee. 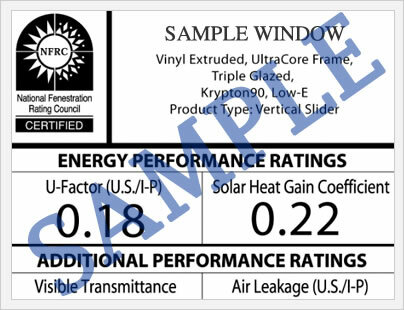 There are a number of limitations and exclusions that apply so we urge consumers to read the ProVia window warranty in its entirety prior to purchasing. Do you have a ProVia Aeris window review to add to the site? Reviews help other consumers learn about the good and the bad of the window series, the company itself and any general tips that you may have to pass on for your experience. If you have a question about the ProVia Aeris WX100, VT700 or VT800 window series, ask John and Tim, our site editors and they are more than happy to answer your questions on this ProVia window. The Provia replacement windows Aeris line ...... How good are these windows? Specifically the wx1000 model window. Mike, in general ProVia has a good reputation in the industry and the wx100 is a very nice looking wood clad window. I'm always a bit reticent about recommending wood for consumers because I worry that there will be issues with them down the road. I think in general, if you are willing to maintain the wood windows and are fine with a 10 or 20 year warranty (I'm not sure what ProVia offers on the wx100) then I think you are getting a nice wood window that should offer some good value. I'd love to hear the project price and how many windows etc. in so I can pass this information onto other consumers if you get a chance. Thanks!